Dr. Sc. 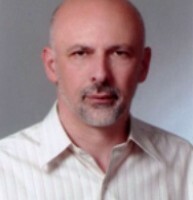 Muharem Avdispahić is Professor of mathematical analysis at the Department of Mathematics of the University of Sarajevo. He has also taught courses in Philosophy of mathematics and natural sciences and History of modern mathematics. Professor Avdspahić received a honorary doctorate of science from Kingston University (UK) and Khwarizmi international award for outstanding contribution to science. Dr.Sc. Zikrija Avdagic is Professor at the Faculty of Electrical Engineering, Department for Computing and Informatics at the University of Sarajevo. He lectures at BSc, MSc, and DSc studies covering field on Artificial Intelligence and Bioinformatics. The focus of his research are methods, and algorithms dealing with Fuzzy Computing, Neural Network Computing, Evolutionary Computation, Biomedical Engineering and Real Time Systems. Dr.Sc. 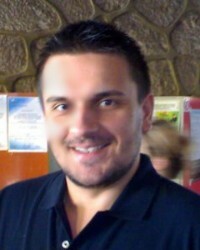 Kenan Šljivo is Associate Professor at the University of Sarajevo. His research interests are topics in the field of epistemology, theory of knowledge, philosophy of mind, cognitive science, formal and symbolic logic and philosophy of language. He is working on the problems of infernetialism. He is member of ZINK since 2007 and editor-in-chief of SOPHOS-a young researchers’ journal. He published several articles concerning theory of knowledge, epistemology and logic. Dr.Sc. 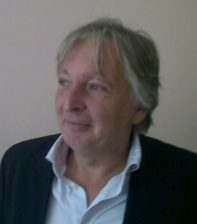 Vedad Muharemović is Associate Professor at the University of Sarajevo. His scientific interests are in the fields of Classical and Contemporary Sociological theories, Contemporary Sociology, Social Philosophy, Theories of Nationalism, Contemporary Philosophy. He is a coordinator of ZINK, the first Bosnian scientific research incubator, member of ESA Social Theory Research Network and an executive editor of the SOPHOS journal. Tijana Okić obtained MA (philosophy ) in 2011 at the Faculty of Philosophy, University of Sarajevo. She is a member and researcher of ZINK, a scientific and research incubator. She is focused on interdisciplinary approach primarily aiming towards critical understanding of social identity formation(s). Research interests: ethics, axiology, political philosophy, social ontology, social epistemology, particularly problems related to body, bodyness and identitary embodiment. 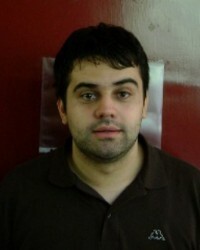 Tomislav Tadić, MA is Teaching Assistant at the University of Sarajevo. He obtained his MA degree in Sociology at the Faculty of Philosophy in Sarajevo, Sociology Department, in 2014. His research interests are topics in the field of sociology of religion, anthropology of religion and contemporary sociology. He is a member of ZINK (scientific research incubator) and editorial board of the SOPHOS journal. 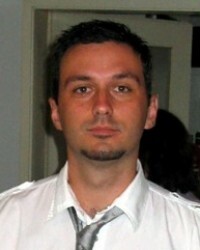 Kerim Sušić is a PhD student on Faculty of Philosophy at the University of Zagreb. 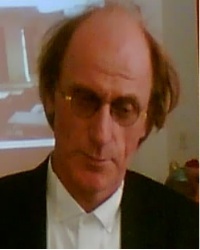 He is a member of ACADEMIA ANALITICA – Society for Development of Logic and Analytic Philosophy since 2007. His research interest is in the filed of islamic philosophy.He is a member of ZINK (scientific research incubator) and the member of editorial board of the SOPHOS journal. He published several articles concerning islamic philosophy.